Clear Creek Outfitters 5 out of 5 based on 1 ratings. 1 user reviews. Full and half-day, couples floats, wade fishing and more. Customize your fly fishing adventure! Learn the best techniques from the professionals! We choose the best quality, most comfortable fishing wear available and embellish it with our logo! 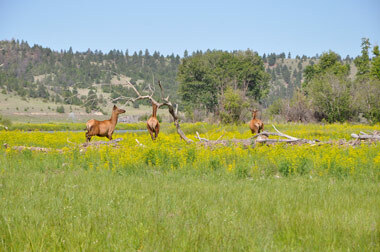 Spring time was a secret for fly fishing in Missoula MT for a long time. 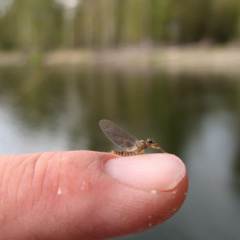 This time of the year can afford a possibility of catching some of the biggest trout of the year on dry flies. The Montana Fly Fishing river we will often on in the spring is the Bitterroot. Here we will be catching big fish that haven’t eaten much all winter on size 8-10 Stoneflys (Skwalas). The best time to catch this hatch is mid-March through April. This can also be a chilly time of the year so waders and a good jacket are recommended. But some of the best Skwala days have been in the snow. 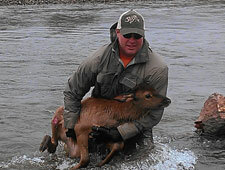 For Montana fly fishing rivers, this hatch is one of the “famous” times of the year. The Salmon flies (size 4-6 dry flies) kick off the feeding frenzy, depending on how our snow runoff is, we could be floating some of the upper forks of the Bitterroot all the way over to the Blackfoot. 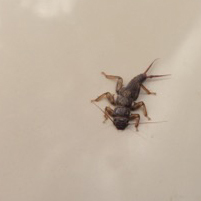 But ask anyone who has fished this hatch… there is nothing like seeing a 20″ Brown eat a size 4 dry fly. This time of the year is probably the busiest on Montana fly fishing rivers with the Fourth of July and the kids being out of school. But like the saying goes, “The best time of the year to go fishing is when you can!” Even though it can be a little more crowded this time of year, all of our rivers are fishing well. 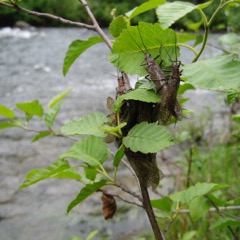 This is also the time of the year you could be fishing Mayfly’s on a cloudy day and the very next day be in the sun, wet wading with big golden stone flies. As we progress into the later August we spend most of our time fishing hoppers and ants or testing our skills with size 22 tricos and light tippet casting to big pods of large fish. 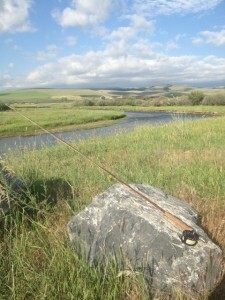 This is often the best time of the year to be on Montana’s fly fishing rivers. The trees start to show color, the mornings are crisp, and the fish seem to know a long winter is on the way so they seem to be a little more aggressive. Another bonus to fall Montana fishing is often we will go all day without seeing another boat. We had a day last fall where we saw a moose, bear, golden eagle, and, oh yeah… we caught some really nice fish on streamers. This river could almost be called two different rivers. In fact, it almost was until Spring of 2008 when the Milltown Dam was removed. This dam had been a part of long-standing controversy for many years. 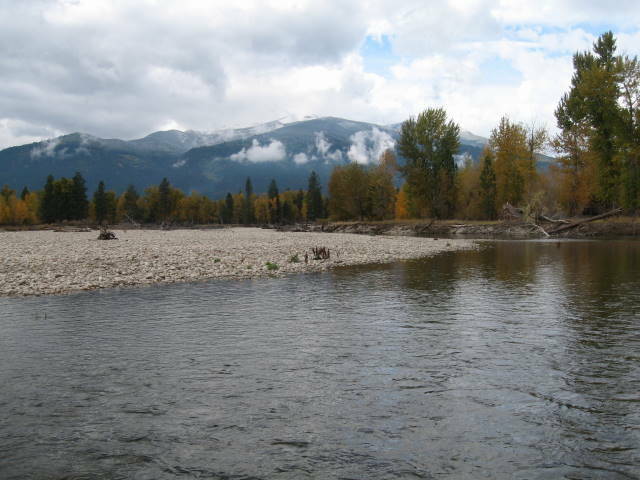 And thanks to a little help from the nation’s largest super fund and the Clark Fork Coalition: fish are now free to move along the entire water shed and spawn/mix with fish up the Blackfoot and Rock Creek that they had been blocked from for over a century. 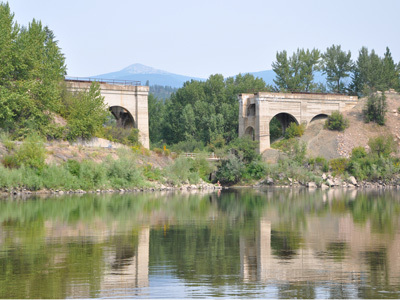 Upper Clark Fork: Even with the removal of the dams this river that forms some 30-40 miles east of Missoula, will continue to have a different identity than the lower river. This stretch could be defined as medium size water that winds and braids its way west towards town. Most of the water is 1-5 feet deep with some deep pools. 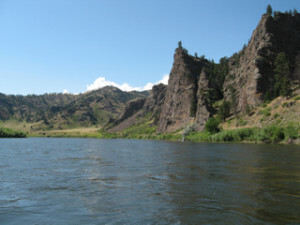 This upper river is very scenic and a great place to get out of the boat and do some wading. Lower Clark Fork: As the Clark Fork meanders through town it meets up with the Bitterroot and becomes a much bigger piece of water. But with that comes the chance at bigger trout. Most who know the river wouldn’t raise an eyebrow at an 18″ Rainbow. Even if the fish is not that big you will swear it is… these fish are strong. This lower stretch is where your guide really comes in handy. There are secrets to these lower stretches that are only learned by many hours on the water.Join us for some Clark Fork River Fly Fishing! This is probably our most famous river due to its beauty and a certain movie A River Runs Through It. It could best be described as crystal clear, fast moving water that winds through steep wooded mountains and cliffs. 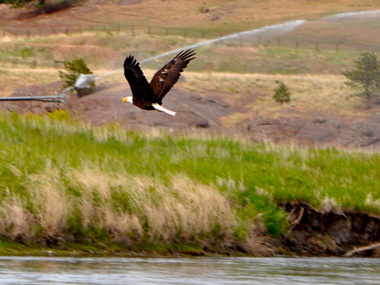 It is not uncommon to have 30-50 opportunities a day of fish on the Blackfoot. And while most of these fish may be on the smaller side (size 10″-12″) there are also a fair share of large yet wise fish up there. Including 30+ inch Bull Trout that will sometimes try and make lunch out of a small fish on your line. 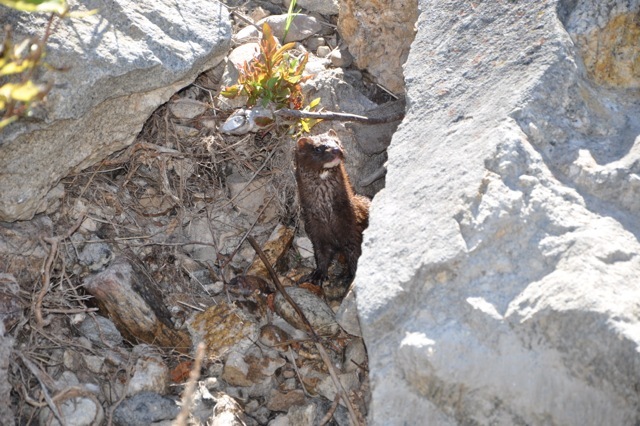 The Blackfoot’s best qualities may be its pristine environment with very little development along its path. In contrast to the Blackfoot, the “Root,” winds its way south to the north through a valley with the Sapphire and Bitterroot Mountain ranges as a backdrop the entire way. This river is a meandering and braided river that seems to change each spring with the coming of high water. This river is most famous for its spring Skwala hatch. But has prolific hatches that last well into October. This is a classic dry fly river with deep runs, riffles and great flats. A day on this river could find you starting off with tiny tricos, switching to hoppers, and ending stripping streamers as the sun sets on fall colored birch trees. The “Mighty Mo” is about a two-hour drive from Missoula, but often well worth the effort. It is a tail water fishery that has been labeled “Montana’s largest spring creek.” This is a very fertile river that holds big fish and lots of them. That being said, the Mo can also demand a certain level of skill. Often long leaders, light tippet and precision casting can make the difference in catching the big one. These fish have seen it all but still can be caught. Dear all, I enjoyed the trip immensely. Thanks to Doug and Aaron, we made some memories! Missoula Fly Fishing Report delivered right to your inbox, along with news about Montana fly fishing rivers, handy tips, fishing tales and great catches! Book your fly fishing trip of a lifetime now! 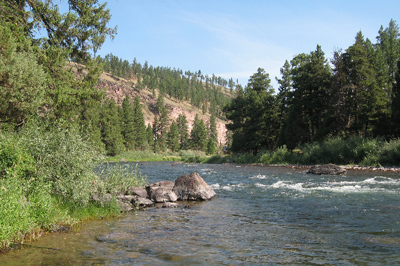 Reserve your spot on Montana’s best fly fishing rivers and the best guides, now! We’ll put you where the fish are!